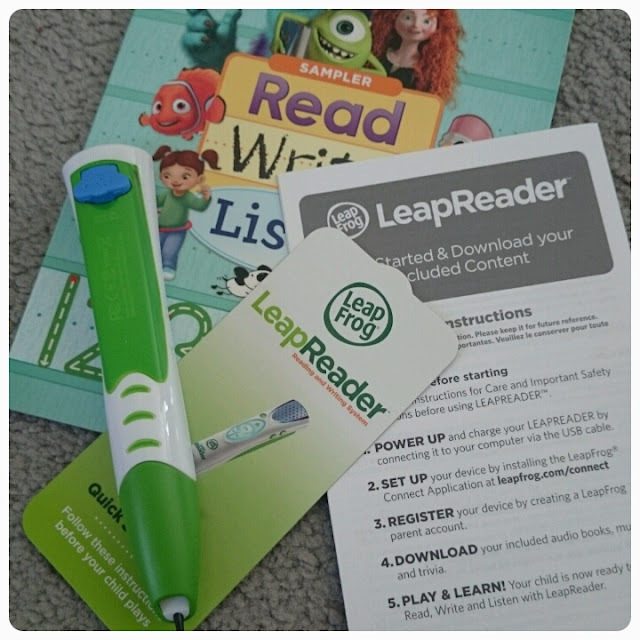 Having recently reviewed the LeapReader Junior, a toy aimed to encourage reading amongst 1-3 year olds, I was extremely pleased when LeapFrog gave me the chance to review the original LeapReader which is aimed at 4-8 year olds. LeapFrog say that this is a complete learn to read and write solution, cleverly sounding out words, allowing children to practice their letter strokes within the books and building up comprehension along the way. Available in pink or green it is the perfect reading companion. Coming complete with a starter book, instructions and a usb cable, like other LeapFrog products you need to connect it to a computer to complete set up. A simple process especially if you already have a LeapFrog account but bare in mind an internet connection is needed. It allows you to download audio straight ono the device and charge it at the same time. Immediately it appeals as it doesn't require batteries. The LeapReader itself is designed well. Easy to hold and simple to operate, it works for a range of ages. I showed previously that even my toddler wanted to have a go at using it. You can see from the photo below the buttons to use are simply laid out. The USB port is located at the back of the LeapReader and the pens nib is a nice size and shape for pointing and using over the pages. On the front there is a speaker at the top, a standby button for turning on and off as well as a home button and buttons for playing, pausing etc. 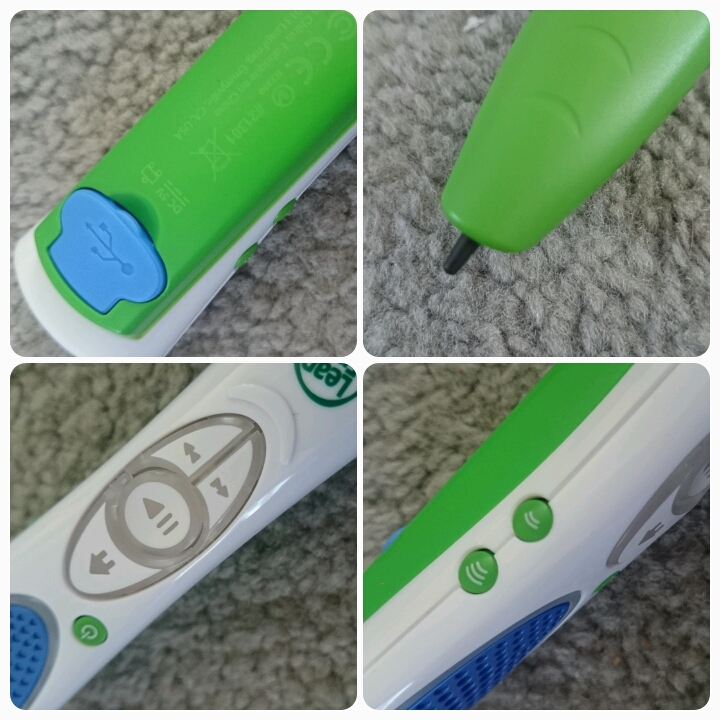 There is also a volume button to be found on the side of the pen. With over 150 titles and 256mb of internal memory, your LeapReader can store up to 40 books at one time and it also works with most tag books too if you already own these. Each book clearly instructs just what needs to done when the LeapReader touches a certain page so there is no confusion. What I liked is that it wasn't just reading based. 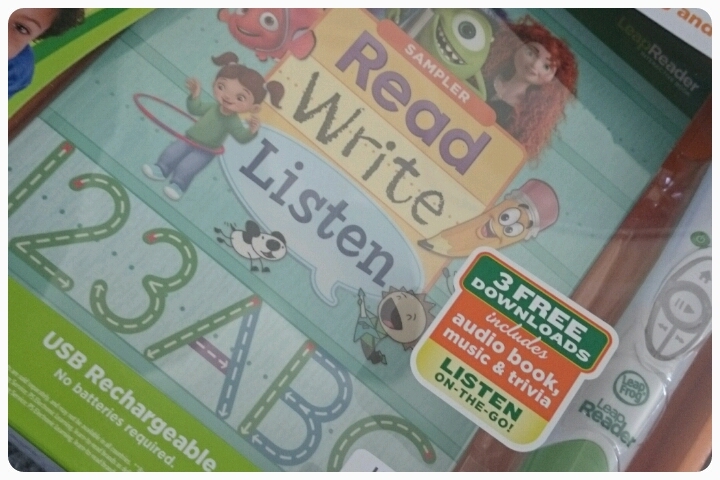 There are interactive books, workbooks for writing practice, no mess and no continual rubbing out and it even plays learning songs with it's built in audio player. There is a lot packed into such a small device. And if parents want a little peace and quiet they can always purchase the compatible headphones. 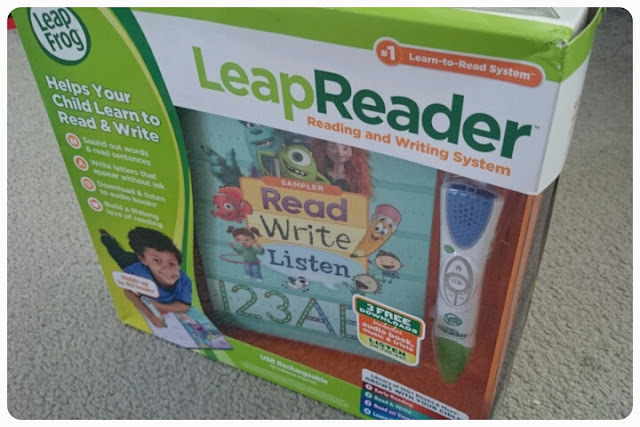 The LeapReader grows with your child, starting with early reading helping them along the way and gradually building their confidence to reading by themselves. 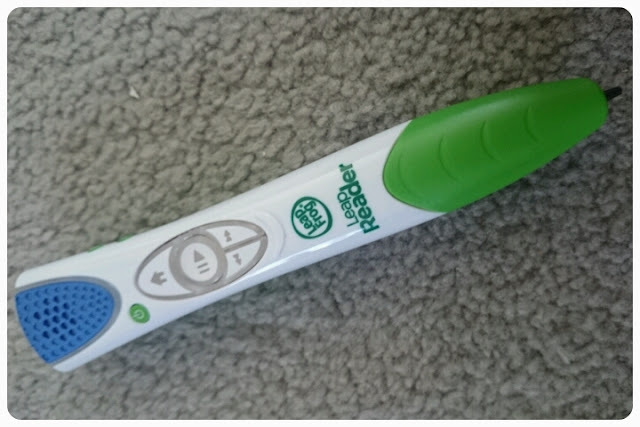 Like all other LeapFrog products, it is educational whilst remaining fun for the child. I love that there are so many books available for it as the books make brilliant gifts too. Priced at £39.99, I see it as a worthwhile investment. Works well aside what your child will be learning at school and reinforces and builds on the skills being taught. Disclaimer : I was sent this toy FOC for reviewing purposes howevr all thoughts and opinions are my own. These look great...They sound like a lot of fun and are educational at the same time! Win, win! Hmmm this looks interesting! My 3.5 year old is showing more interest in wanting to learn to read and this looks good.